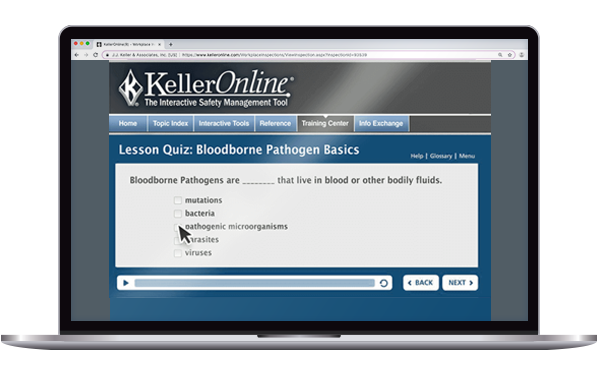 Developed by J. J. Keller’s trusted team of in-house regulatory experts, the KellerOnline® safety management tool makes it easy to develop, implement, and maintain your own full-service safety program. The KellerOnline® Safety Management Tool has multiple tools to help you learn about and comply with the new slips, trips & falls requirements. KellerOnline is your cloud-based solution for a compliant safety management program. Thousands of safety professionals, from both small and large companies, rely on the KellerOnline® Safety Management Tool to manage their workplace safety programs. It is the only service that integrates a proven management process with reference materials, tools, and applications to help reduce accident rates, decrease injuries, and lower workers' compensation costs. Keeping your employees safe is a never-ending challenge. Discover an easier way to develop, implement, and manage a full-service safety program with the KellerOnline® safety management system. The Safety Management Solution trusted by thousands of safety professionals. Enhance, build, and conduct your safety training program with nearly 200 classroom training topics and supplement your classroom training with over 300 self-paced, online training topics to help improve the retention of concepts and ensure student interaction. Discusses the latest developments in OSHA’s e-reporting requirements for certain employers. Walks you through OSHA’s requirements for the various ways these chemicals are handled and used. Provides an overview of OSHA’s forklift training and evaluation requirements, answers FAQs, and shares real life experiences. Covers required first aid supplies, training, AEDs, FAQs and more. Looks at the similarities and differences between these programs and provides guidance on implementing and improving your system. Learn more about OSHA enforcement trends and statistics, so you can be prepared should you face an inspection. Provides an in-depth discussion of the causes of cold stress for indoor and outdoor workers and presents steps employers can take to keep their employees safe from the effects of the cold. Overview of OSHA’s lockout/tagout requirements. 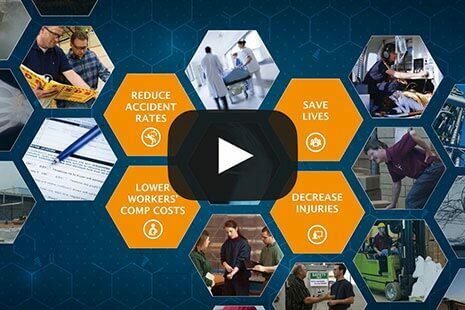 Join the thousands of safety professionals who rely on the KellerOnline® Safety Management Tool to reduce accidents, lower costs and save lives! Let us do the research for you! The Personal Assistant feature in KellerOnline gives you access to J. J. Keller’s in-house safety experts where you can privately and securely ask your toughest compliance-related questions. This invaluable tool is like having your own compliance assistant at your fingertips. "I can't recommend a safety management tool more than KellerOnline. If I only had access to the personal assistant, daily updates and forums alone it would be worth every penny. For me, KellerOnline is a must-have. I have been with KellerOnline since the beginning of my EHS career and I've never found a more valuable tool. Thanks for all you do to help us stay on track." "I whole heartedly recommend this product for anyone in the EHS field. The training info and regulatory compliance guidance are well worth the subscription price. I have used the information to verify training requirements, update old programs and gain a ton of useful insights from the member’s section. Kelleronline is my go to source for day to day EHS support." 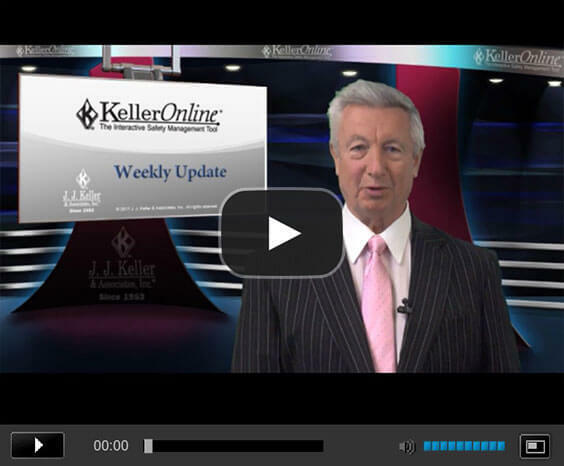 "KellerOnline has been a wonderful addition to our safety management toolbox. It has all of the information I need to develop, implement, and manage a full-service safety program in one place. It's easy to navigate and use, and the support services have been there whenever I've needed them as well." "It has helped me tremendously in coordinating our safety plans, understand rules, etc. We had a lot of compliments on our record keeping with our HSE auditors." "...I find it an invaluable and very nearly indispensable asset. From the vast array of training tools to the discussion boards, there is something I can use on a daily basis. Thanks for making a Retired Sailor's second career a lot easier to navigate." "KellerOnline saved me hours on reviewing, updating and initiating training programs and safety policies. The audit templates give me a different point of view on some areas that I'm not as knowledgeable about as others and they back all the information up with the location of the standard being used as a reference." "Definitely makes my job easier! I feel like a got my own personal safety assistant and this assistant is an expert in any field of safety. this is exactly what I've needed now that I work on my own with minimum to 0 support." "I have found this program to be very useful . The personal assistant is very helpful as well. The G.H.S. label creator is very convenient. It's also nice to be able to reach out to my peers for advice and ideas on the message boards. All in all it was just what i was looking for." "Instead of going all over the internet for information I go to KellerOnline and all the information I need is at my fingertips. Plus I can find out what other H-R and Safety people are using in their shops. I also use the OSHA 300 pages to do the end of year reports. Everything in one place you can't beat it." "KOL has been an extremely valuable tool for safety professionals for over a decade. The wealth of tools and materials as well as the active networking forums are invaluable. It's rare that you can't find something to address a safety or environmental need whenever you go looking. This is an extremely suitable web tool whether you've been in the business for 2 months or 20 years." "Best thing I have done for Company Safety in years...Working in California, maintaining a complaint program for a small company is very difficult. As a the Company's sole person for Health and Safety, I consider this the next "Smart-phone" in my career, the tool that a year from now I will wonder how did I get by without it. More importantly, I finally feel confident that I am not missing some safety compliance issue, or new regulatory update, and that reduces stress a well saving time." This content is reserved for KellerOnline members only.